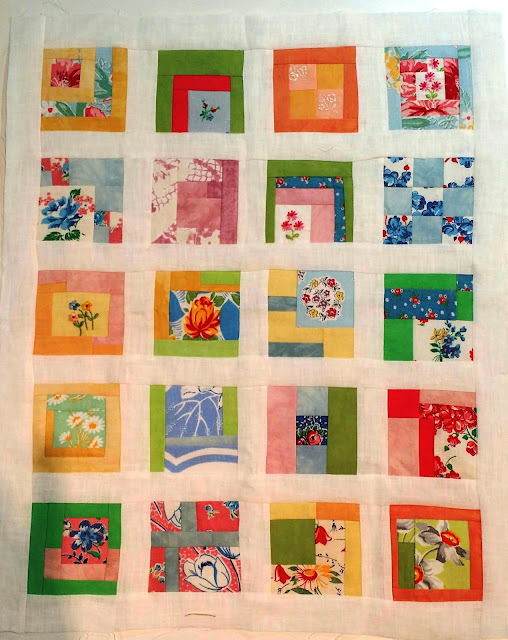 Sew Says Mimi: Seasonal Fruit? What's that? Sew... if you are old enough, you remember when strawberries were a huge treat, as were melons, watermelon, blueberries, peaches, etc. New Jersey is also famous for asparagus, beans, and of course, the famous Jersey tomato!Most of our favorite fruits and vegetables were really only available when they were "in season". Now, most things are in the stores year round, although sometimes they aren't too great. Were am I going with this? It's strawberry season in southern New Jersey! Yippee! Even though Driscoll strawberries are in the stores all the time, and they can be really good, there is nothing better than local strawberries. I bought a quart at the Haddonfield Farmers Market, from Duffields, a farm store from Sewell, NJ. They are amazing! They will have them 'til mid June, and then we have to wait a few weeks for the peaches.. In an attempt to avoid the shortcake, ice cream, pie, and other calorie laden strawberry desserts,,, I just fixed this beautiful dish , inspired by my neighbors from Truman Avenue in Haddonfield. 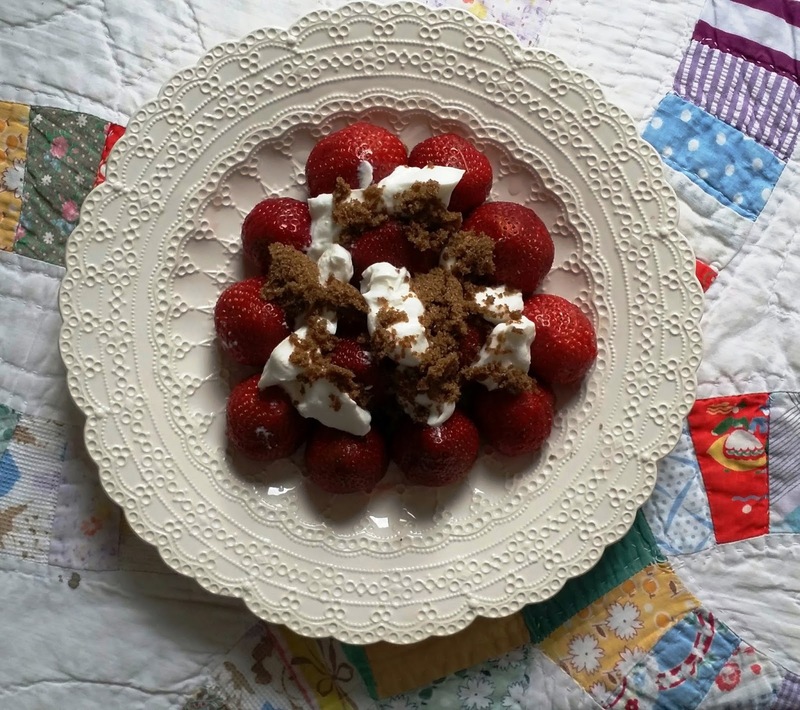 In the day (30 years ago), fresh strawberries, drenched in sour cream, and then, coated with brown sugar...Amazing. The updated version... greek yogurt.. and just a bit of brown sugar.. wonderful! In case you care..the plate is Spode, belonged to my grandmother..
.and the tablecloth is an old, worn double wedding ring quilt..
Sew, what will we do with the peaches?